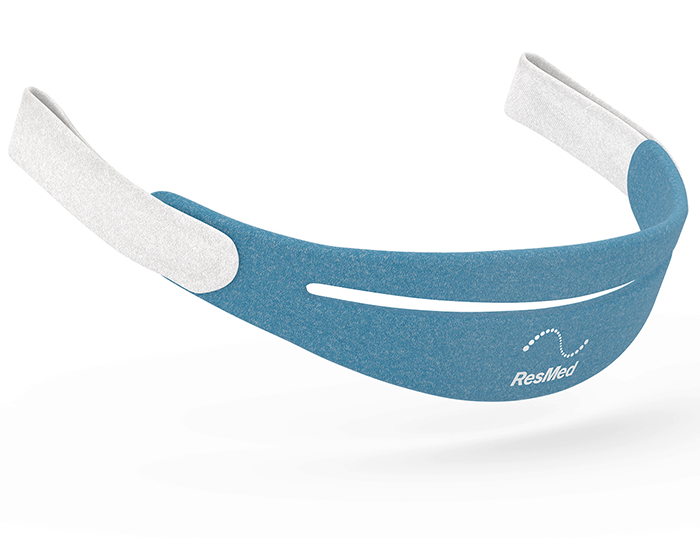 The ResMed AirFit P10 mask headgear is thin and lightweight. The drawback to this as many who have used the P10 mask will know, the headgear stretches over time and often needs replacing every 12 months or so. Therein lies the most notable difference between the two masks, The AirFit P30i mask features durable, reinforced headgear. This change is critical in improving the life span of the P30i ensuring you get value from both your money and therapy. 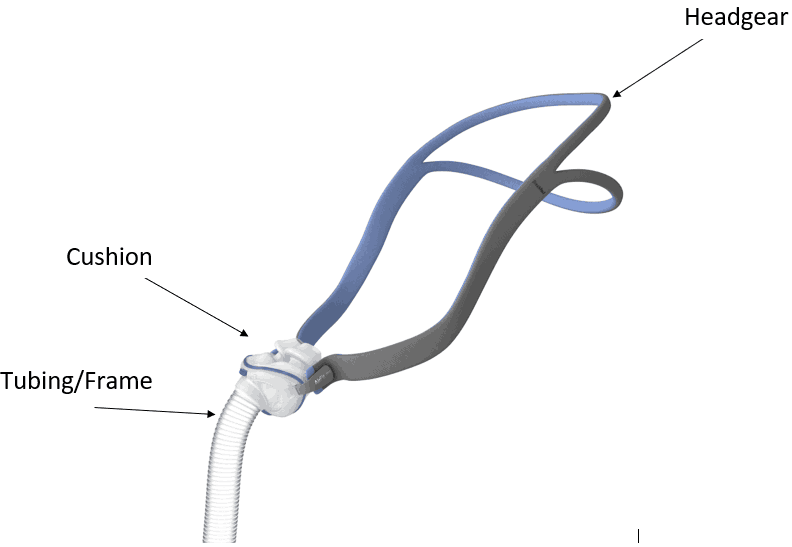 Another major difference between these two nasal masks is how the tubing is positioned throughout the night. 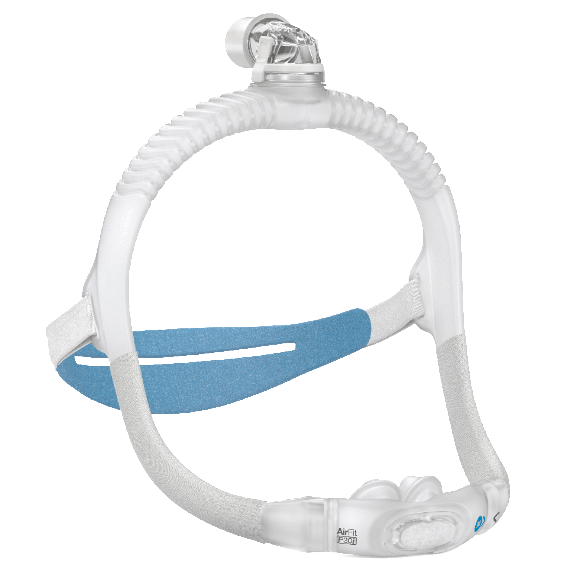 The AirFit P10 mask tubing is located at the front of the mask and rests down over the front of your face during the night. 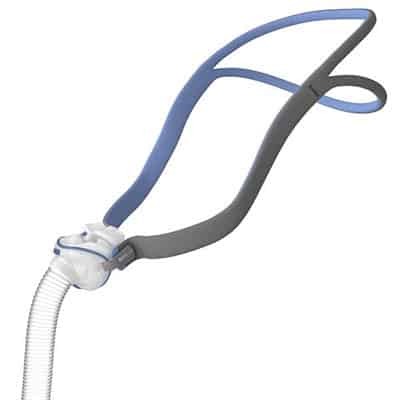 The AirFit P30i mask is located at the top of the head. Throughout the night the tubing will sit up and along the top of your bed frame to ensure it does not interfere with your sleep in anyway. 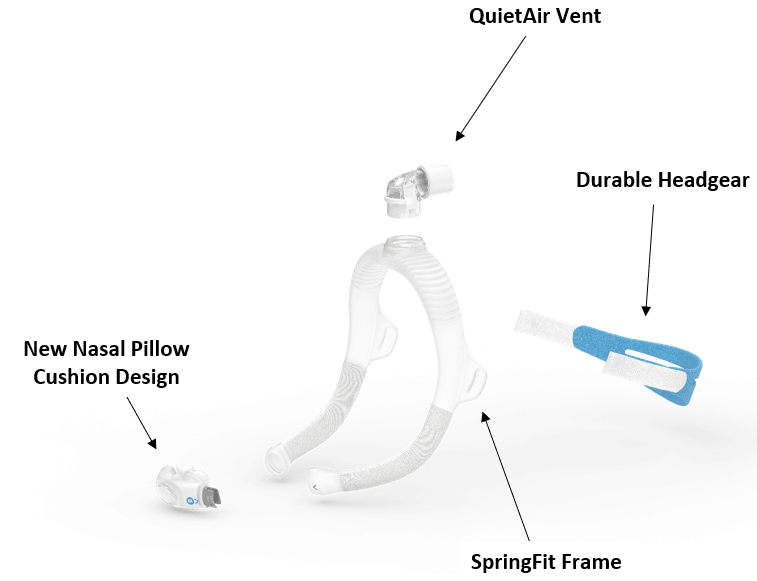 The AirFit P10 is a versatile mask which can be used with all current CPAP machines on the market including the ResMed AirMini (note, a special connector is required for use with the ResMed AirMini). 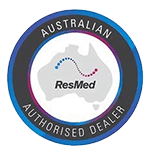 The AirFit P30i mask is not compatible with the ResMed AirMini device, however, it is compatible with all other current CPAP machines. 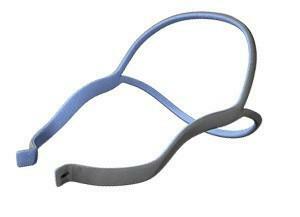 The AirFit P30i mask is also interchangeable with the AirFit N30i cushion. This means that you can use the cushion from an N30i mask on your P30i frame. The N30i cushion is different in that it creates a seal underneath your nostrils as opposed to up the nostrils like the P30i cushion. The AirFit P10 mask is a lot smaller and compact than the AirFit P30i mask. Despite this both masks are lightweight and comfortable to wear. For more information on the AirFit P30i or to make a purchase, Click here. For more information on the AirFit P10 or to make a purchase, Click here.